Why should I have my office cleaned? If you run a business and manage an office, keeping it clean and tidy is more important than you think. Whether you have regular visitors to your office or manage a large team with that space, having a clean, tidy and organised office can make a huge difference to your workforce. It has been proven that a clean office can lead to a greater quantity and improved quality of work than if completed in a messy space. Don’t miss out on great work and have your office cleaned by our team at Thomas Oakes. First impressions count, and visitors to your office will notice an unkempt, dirty office and this will reflect badly on how you appear, despite how hardworking and professional you are. The number of employees who you have in your office will play a huge part in how frequently you will require an office cleaning service. If you manage a small office with a small number of people, then regular cleaning may be unnecessary. However, if you have twenty-plus people coming in and out each day then our office cleaning services will benefit you. Another thing you should consider is what areas your office has. If it has a kitchen or break room, a regular office cleaning may be recommended as these areas will be used often and have potential to become unclean and dirty. No matter how careful people are with their food, common areas such as these can build up dirt fast. Make your office look like the perfect space and arrange an office cleaning service from Thomas Oakes. We have worked in the industry for over 15 years. In this time, we have developed an excellent reputation for supplying the highest level of service to every one of our clients. We understand that you rely on us to make your business look your best, and we never let anyone down. 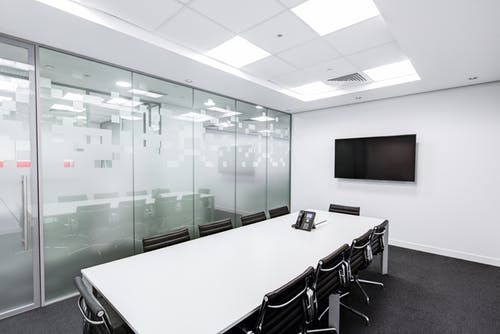 Our attention to detail means that your office will look its best when clients come to visit and help your employees work to the highest standard. Our office cleaning services are available across the North West, including Warrington, Wigan, Widnes, Runcorn, and St Helens.